You “Can” Make a Difference! 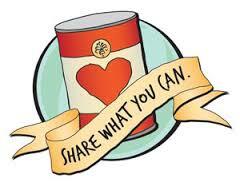 Start bringing in canned foods for our NEW cause—food for needy families in Jamaica! Our cans will take a journey of approximately 590 miles; and, it’s all in the spirit of the season. Let’s give thanks for all that we have and bring in some canned foods. 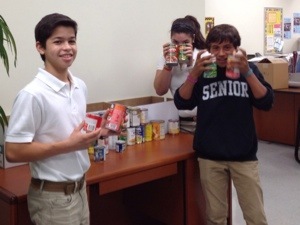 The IB homeroom with the most cans will win community and service vouchers. The PTSA will also give a prize to the top homeroom. Together we “can” definitely make a difference!!! 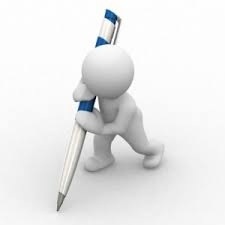 Reflections and Technology Logs due Monday!!! Friendly Reminder: Bring in your work on Monday, October 14th!!!! 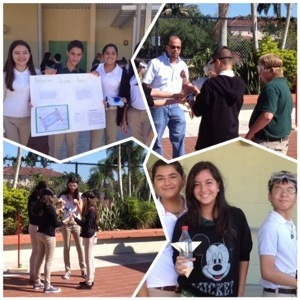 Mr. Perdomo and Ms. Cardenas join forces! And, our 8th graders become the teachers. We saw some great lessons—good job mini-teachers!!! We need help reaching our fundraising goal! Spread the word and our team link! Together we can help make a difference for breast cancer research!